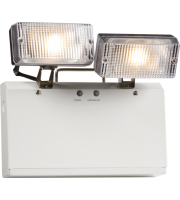 Bright, reliable safety lighting is yours for less with twinspot emergency lights from Direct Trade Supplies. When it comes to ensuring the safety of your staff and patrons, you shouldn't have to make any compromises. 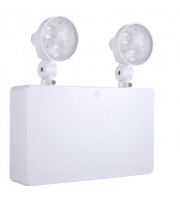 At Direct Trade Supplies, we provide the industry's best security lights at low, affordable prices to that businesses across the UK can enjoy top technology for less. 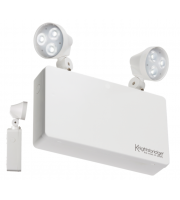 The long shelf life combined with the back up batteries render twinspot emergency lights virtually maintenance-free. 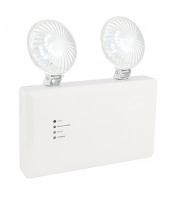 You can simply install and walk away knowing you have high-powered emergency lighting at the ready in the event you should need it. 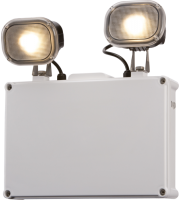 Our twinspot emergency lights are suited for use in large buildings like factories, warehouses and other industrial settings. 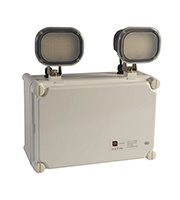 In the event of a power failure, these multi-directional lights will power up to make sure nobody is left in the dark, something that's imperative in workplaces that involve machinery or chemicals to avoid accidents. 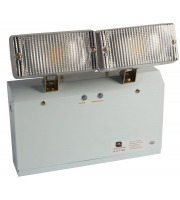 Products like the Red Arrow Emergency Twin Spot lights come with long-lasting, halogen bulbs for high illumination and low operating costs. Some models stay on for as long as three hours, helping keep your business in operation if the power goes down at the mains. 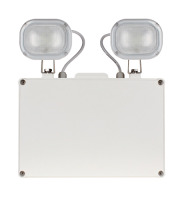 Keeping your staff and clientele safe on your property is a priority for all business owners, and it's can be both easy and affordable to do with the emergency lighting products we carry. At Direct Trade Supplies, we're here to help your budget go further. We're proud to be the suppliers of top electrical safety products and lighting, and carry the finest names in the industry at low prices. 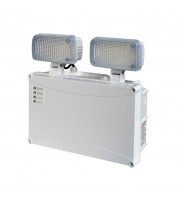 And if you are placing a large bulk order, there is the potential to save even more. 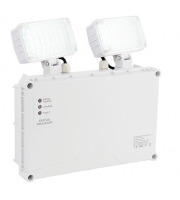 Call our sales team on 01752 261211, and see how you can get twinspot emergency lights among other quality products for less.